DataRapt is a software development company established to add value to a popular software package, SYSPRO, an Enterprise Resource Planning (ERP) Solution that is sold worldwide. You may wonder why a globally successful organization like SYSPRO would partner with another development company. 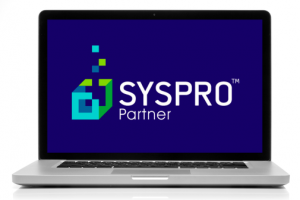 The answer is simple: SYSPRO develops software for enterprises. They have an impressive customer list of organizations of all sizes, spanning multiple industries. Developing software that meets every need of every organization is impossible which means that SYSPRO has to carefully prioritize their development capacity. So, there are often times when certain functionality may be identified, but SYSPRO decides not to develop it. 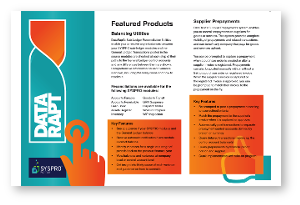 This is where DataRapt is able to add value by developing these features and utilities. View our company flyer (by clicking on the thumbnail) or take a look at our existing products and feel free to contact us should you have any specific functionality requirements. We’d love to discuss your ideas and see where we are able to add value to your organization. Of course, like SYSPRO, we have to prioritize our own development capacity and tend only to take on projects that we believe will have relatively wide appeal.